Nicole Car is one of the brightest stars on the international opera scene. In October 2015 she made a sensational debut at the Royal Opera House, Covent Garden to unanimous critical acclaim, singing Micaela in Carmen; in December 2015 she returned to Covent Garden in the lead role in Eugene Onegin opposite Dmitri Hvorostovsky and caused quite a stir! Nicole has been known to Australian audiences for several years through her major roles for Opera Australia. She has already won the 2013 Neue Stimmen competition (Germany) and received nominations in the International Opera Awards and Australia's Helpmann Awards. 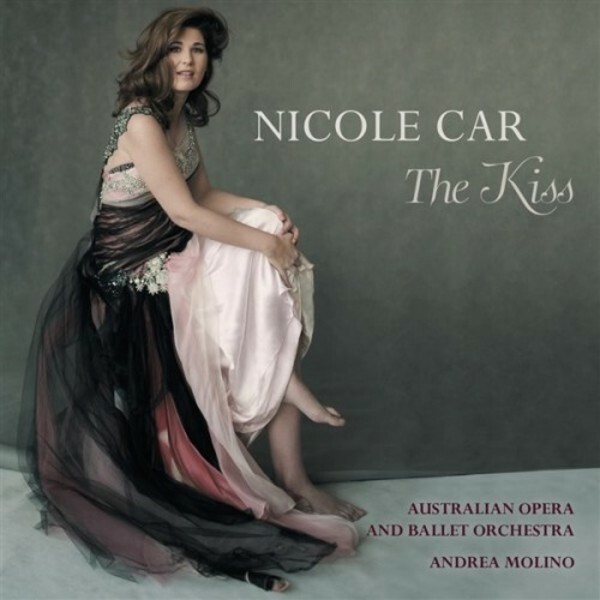 The Kiss surveys the arias that have made Nicole�s name. 19th-century gems, both well known and unjustly neglected, that showcase the outstanding beauty, unforced lyricism and compelling passion of her voice. At the heart of the disc stands the �Letter Scene� from Eugene Onegin � Nicole�s performances of which have astounded audiences across the world. Her passion for Russian repertoire continues with music by Rimsky-Korsakov. A gorgeous and rarely recorded lullaby by Smetana from the opera Hubicka (The Kiss) gives the album its name, and the themes of intimacy and love that feature throughout the recording. From Rusalka asking the silver moon to shine on her beloved prince, so far away, to Amelia in Simon Boccanegra eagerly awaiting her lover�s arrival; from Servilia lamenting her fate, torn between love and duty, to Gounod�s Marguerite trembling with excitement as she sees herself in newfound jewels - this is an album of beguiling, passionate gems sung by one of the finest voices of today.